Exclusively Ours! 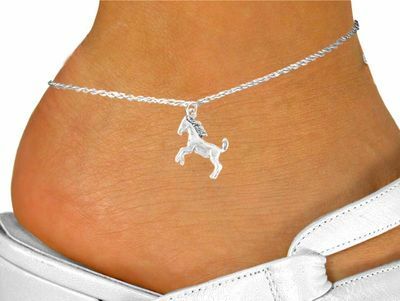 Lead & Nickel Free Stallion Charm Comes On A Lobster Clasp Anklet. Perfect For Stallions, Mustangs, Or Colts Mascots! Charm Measures 1"L x 1"W.